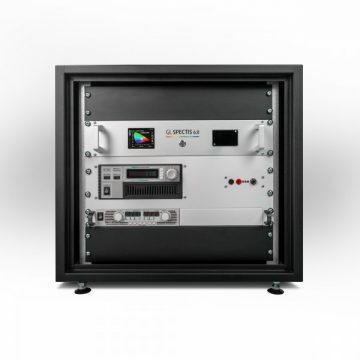 One table top system for Light Intensity Distribution, Luminous Flux and Color measurement. 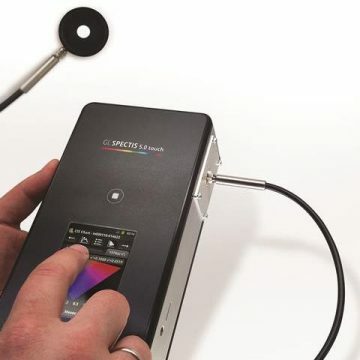 This easy-to-operate system combines the functionality of a goniophotometer with the features of a spectroradiometer to measure flux and to check angle dependence luminous intensity together with the colorimetric data required by international standards. 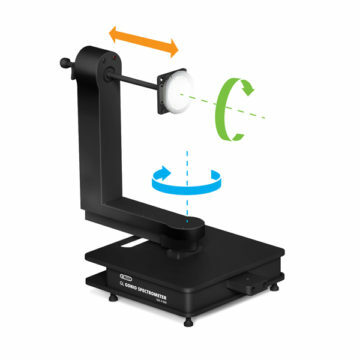 The upgraded GLG 4-500 version is a table top light goniometer specifically designed for LED modules and component testing. This setup can also be used for smaller luminaires measurements. The automated, PC based system can hold devices up to 4-7kg and 500mm diameter and measures with an angular resolution of 0.1° and C-plane and λ angle +/- 180°. Smart cable connection system helps to avoid problems with power supply and handling of wiring during tests. More robust integrated base includes build in USB controller and PC interface socket. Newly designed vertical arm covers drive and feature banana sockets placed close to DUT for easier wiring. It is truly a universal Goniophotometer with spectral light measurement solution for a range of applications. Don’t let the size fool you. This benchtop goniophotometer system can be used for performance evaluation of LED modules, optical components and electrical components at all points during development. This highly automated system holds devices up to 4-7 kg and 500mm diameter allows every company to get accurate and reliable measurements in minutes instead of days or weeks when outsourcing to external labs. According to the new CIE S025/E:2015 u’, v’ color coordinates should be measured using goniospectroradiometer in the vertical angle range of 10° or less (recommended 2.5°) and the horizontal angle range of 90° or less (recommended 22.5°). Angular Color Uniformity value is measured as the largest deviation of chromaticity (u’,v’) of LED device emitted in different directions from averaged chromaticity (u’a, v’a). This automatic optical goniometer instrument was designed as a universal LED measurement solution and is compliant with new CIE S025/E:2015 for LED modules, lamps and luminaires. It also meets the requirements of the IES LM-79 standard. The system provides data and reporting required by American Energy Star and European Eco-Design requirements for LED lighting. LED lighting has become more and more competitive and the available technology and components are changing fast. Developing and evaluating new models of modules and lamps is a constant challenge for manufacturers and importers. Our fully automated, compact light goniometer instrument supports development teams and product testing labs who need to measure the light intensity distribution of LED products. A large, expensive laboratory isn’t necessary if you want to measure smaller products and components. 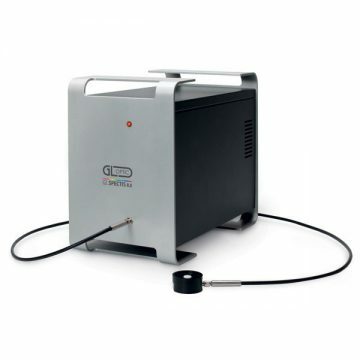 The GL Gonio Spectrometer GLG 4-500 can be used in a small dark room or even in a dedicated measurement station and deliver professional photometric and colorimetric characterization of LEDs. It comes complete with a spectroradiometer and a user-friendly analytical software. Start testing your own products and build your competitive advantage based on quality and knowledge. The majority of goniophotometers on the market require highly trained and experienced technicians to deliver the results you need. The GLG 4-500 gonio was designed to bring the capability to every company and purpose built as a practical, everyday solution for engineers and technicians. The plug-and-measure nature of the system simplifies the complex measurement procedures. Simply install the lamp on the mechanical board, align it with the available laser alignment tool, set parameters and you are set to measure the intensity distribution! The system automatically rotates and measures the DUT at each location, and then the results output into a completely customizable report. Light intensity distribution diagrams and luminous flux together with IES and LTD photometric files are automatically generated by the system. Since we use a spectroradiometer as the default detector, the light gonio generates all colorimetric values like CCT and Duv, CRI and Rf (TM-30 2015) MacAdam Ellipses, Angular Color Uniformity and more. This is simply not available in standard goniophotometer systems for light measurement. If you are organizing a new laboratory space for lighting products measurements or component testing this system can be paired with a number of additional items and peripheral devices to complete the full operational setup. 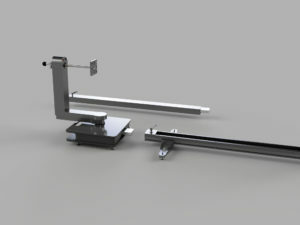 Please check different sizes of available compatible slider system to mount the measurement instrument and easily change of the photometric distance. Sliders of 1m or 2,5 meter long are available on demand. Additional extension profiles can be ordered to meet different distance laboratory room requirements. You may include optional programmable power supplies, current sources or power meters to control the complete system from one software interface Read more information. There are also temperature controllers (TEC) available for LED modules stabilized temperature testing in compliance with the CIE S 025 read more information Read more. Discover the new compact size laboratory grade spectrometer. Rack mounted laboratory grade spectrometer module. Advanced Spectroradiometer with Optical Stray Light Reduction* for high precision light assessment. GL Optic is a Polish-German manufacturer of precise light measuring instruments and complex solutions for spectral light measurement systems. GL Optic products are made in Europe, sold and serviced on all continents.